In today’s tutorial, you’ll learn how to stream live video over a network with OpenCV. Specifically, you’ll learn how to implement Python + OpenCV scripts to capture and stream video frames from a camera to a server. Hi Adrian, I’m working on a project where I need to stream frames from a client camera to a server for processing using OpenCV. Should I use an IP camera? Would a Raspberry Pi work? What about RTSP streaming? Have you tried using FFMPEG or GStreamer? How do you suggest I approach the problem? It’s a great question — and if you’ve ever attempted live video streaming with OpenCV then you know there are a ton of different options. You could go with the IP camera route. But IP cameras can be a pain to work with. Some IP cameras don’t even allow you to access the RTSP (Real-time Streaming Protocol) stream. Other IP cameras simply don’t work with OpenCV’s cv2.VideoCapture function. 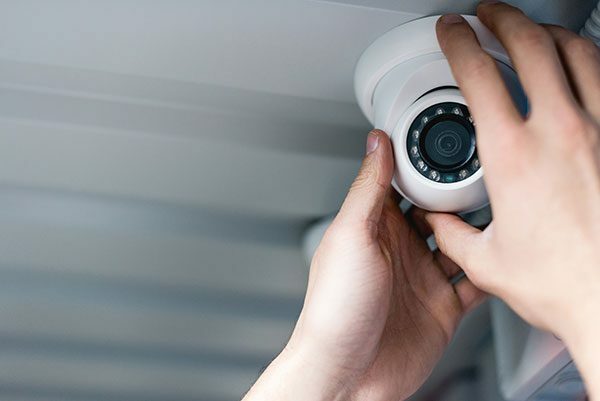 An IP camera may be too expensive for your budget as well. In those cases, you are left with using a standard webcam — the question then becomes, how do you stream the frames from that webcam using OpenCV? Using FFMPEG or GStreamer is definitely an option. But both of those can be a royal pain to work with. Today I am going to show you my preferred solution using message passing libraries, specifically ZMQ and ImageZMQ, the latter of which was developed by PyImageConf 2018 speaker, Jeff Bass. Jeff has put a ton of work into ImageZMQ and his efforts really shows. As you’ll see, this method of OpenCV video streaming is not only reliable but incredibly easy to use, requiring only a few lines of code. To learn how to perform live network video streaming with OpenCV, just keep reading! In the first part of this tutorial, we’ll discuss why, and under which situations, we may choose to stream video with OpenCV over a network. From there we’ll briefly discuss message passing along with ZMQ, a library for high performance asynchronous messaging for distributed systems. Will be using Raspberry Pis as our clients to demonstrate how cheaper hardware can be used to build a distributed network of cameras capable of piping frames to a more powerful machine for additional processing. By the end of this tutorial, you’ll be able to apply live video streaming with OpenCV to your own applications! Why stream videos/frames over a network? Figure 1: A great application of video streaming with OpenCV is a security camera system. You could use Raspberry Pis and a library called ImageZMQ to stream from the Pi (client) to the server. There are a number of reasons why you may want to stream frames from a video stream over a network with OpenCV. To start, you could be building a security application that requires all frames to be sent to a central hub for additional processing and logging. Or, your client machine may be highly resource constrained (such as a Raspberry Pi) and lack the necessary computational horsepower required to run computationally expensive algorithms (such as deep neural networks, for example). In these cases, you need a method to take input frames captured from a webcam with OpenCV and then pipe them over the network to another system. There are a variety of methods to accomplish this task (discussed in the introduction of the post), but today we are going to specifically focus on message passing. 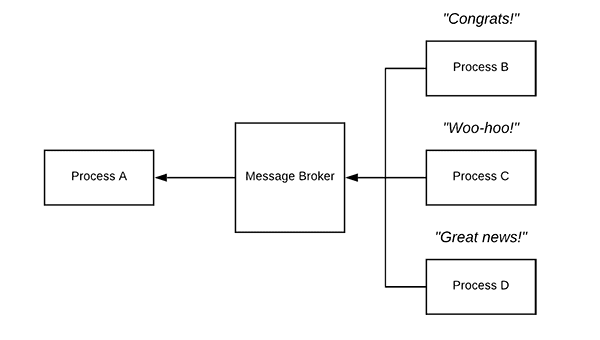 Figure 2: The concept of sending a message from a process, through a message broker, to other processes. With this method/concept, we can stream video over a network using OpenCV and ZMQ with a library called ImageZMQ. Message passing is a programming paradigm/concept typically used in multiprocessing, distributed, and/or concurrent applications. Using message passing, one process can communicate with one or more other processes, typically using a message broker. Whenever a process wants to communicate with another process, including all other processes, it must first send its request to the message broker. The message broker receives the request and then handles sending the message to the other process(es). If necessary, the message broker also sends a response to the originating process. As an example of message passing let’s consider a tremendous life event, such as a mother giving birth to a newborn child (process communication depicted in Figure 2 above). Process A, the mother, wants to announce to all other processes (i.e., the family), that she had a baby. To do so, Process A constructs the message and sends it to the message broker. The message broker then takes that message and broadcasts it to all processes. All other processes then receive the message from the message broker. Figure 3: Each process sends an acknowledgment (ACK) message back through the message broker to notify Process A that the message is received. The ImageZMQ video streaming project by Jeff Bass uses this approach. These responses are sent to the message broker which in turn sends them back to Process A (Figure 3). 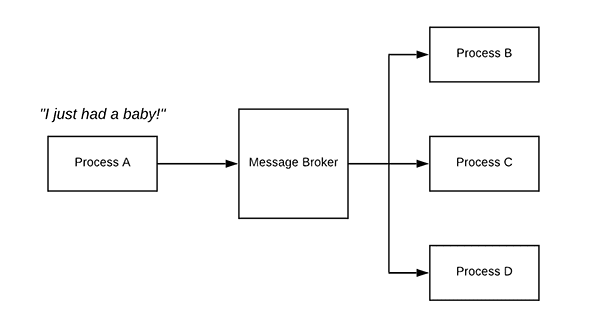 This example is a dramatic simplification of message passing and message broker systems but should help you understand the general algorithm and the type of communication the processes are performing. You can very easily get into the weeds studying these topics, including various distributed programming paradigms and types of messages/communication (1:1 communication, 1:many, broadcasts, centralized, distributed, broker-less etc.). As long as you understand the basic concept that message passing allows processes to communicate (including processes on different machines) then you will be able to follow along with the rest of this post. Figure 4: The ZMQ library serves as the backbone for message passing in the ImageZMQ library. ImageZMQ is used for video streaming with OpenCV. Jeff Bass designed it for his Raspberry Pi network at his farm. 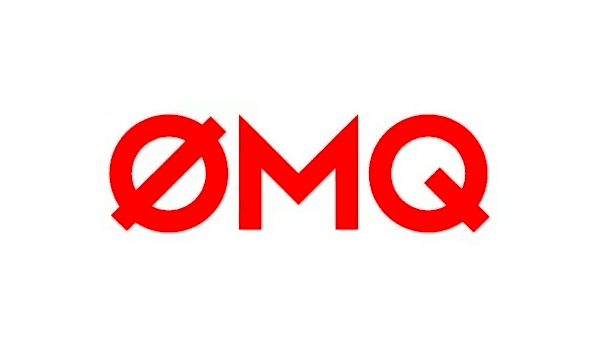 ZeroMQ, or simply ZMQ for short, is a high-performance asynchronous message passing library used in distributed systems. Both RabbitMQ and ZeroMQ are some of the most highly used message passing systems. However, ZeroMQ specifically focuses on high throughput and low latency applications — which is exactly how you can frame live video streaming. High throughput: There will be new frames from the video stream coming in quickly. Low latency: As we’ll want the frames distributed to all nodes on the system as soon as they are captured from the camera. ZeroMQ also has the benefit of being extremely easy to both install and use. Jeff Bass, the creator of ImageZMQ (which builds on ZMQ), chose to use ZMQ as the message passing library for these reasons — and I couldn’t agree with him more. Figure 5: The ImageZMQ library is designed for streaming video efficiently over a network. 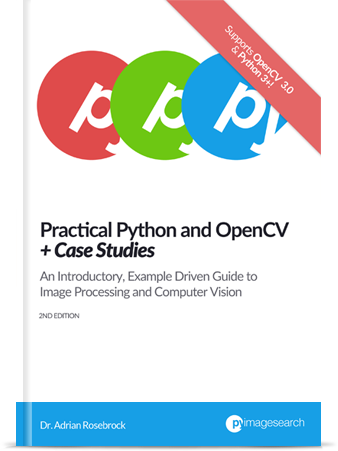 It is a Python package and integrates with OpenCV. Jeff Bass is the owner of Yin Yang Ranch, a permaculture farm in Southern California. He was one of the first people to join PyImageSearch Gurus, my flagship computer vision course. In the course and community he has been an active participant in many discussions around the Raspberry Pi. Jeff has found that Raspberry Pis are perfect for computer vision and other tasks on his farm. They are inexpensive, readily available, and astoundingly resilient/reliable. At PyImageConf 2018 Jeff spoke about his farm and more specifically about how he used Raspberry Pis and a central computer to manage data collection and analysis. The heart of his project is a library that he put together called ImageZMQ. ImageZMQ solves the problem of real-time streaming from the Raspberry Pis on his farm. It is based on ZMQ and works really well with OpenCV. Plain and simple, it just works. And it works really reliably. I’ve found it to be more reliable than alternatives such as GStreamer or FFMPEG streams. I’ve also had better luck with it than using RTSP streams. You can learn the details of ImageZMQ by studying Jeff’s code on GitHub. Jeff’s slides from PyImageConf 2018 are also available here. In a few days, I’ll be posting my interview with Jeff Bass on the blog as well. Let’s configure our clients and server with ImageZMQ and put it them to work! Figure 6: To install ImageZMQ for video streaming, you’ll need Python, ZMQ, and OpenCV. Installing ImageZMQ is quite easy. You may then (1) copy or (2) sym-link the source directory into your virtual environment site-packages. As a third alternative to the two options discussed, you may place imagezmq into each project folder in which you plan to use it. ImageZMQ must be installed on each client and the central server. In this section, we’ll cover one important difference for clients. Our code is going to use the hostname of the client to identify it. You could use the IP address in a string for identification, but setting a client’s hostname allows you to more easily identify the purpose of the client. In this example, we’ll assume you are using a Raspberry Pi running Raspbian. Of course, your client could run Windows Embedded, Ubuntu, macOS, etc., but since our demo uses Raspberry Pis, let’s learn how to change the hostname on the RPi. To change the hostname on your Raspberry Pi, fire up a terminal (this could be over an SSH connection if you’d like). Figure 7: Configuring a Raspberry Pi hostname with raspi-config. Shown is the raspi-config home screen. Navigate to “2 Network Options” and press enter. Figure 8: Raspberry Pi raspi-config network settings page. Then choose the option “N1 Hostname”. Figure 9: Setting the Raspberry Pi hostname to something easily identifiable/memorable. Our video streaming with OpenCV and ImageZMQ script will use the hostname to identify Raspberry Pi clients. You can now change your hostname and select “<Ok>”. You will be prompted to reboot — a reboot required. As you can see, it will likely save some time later. 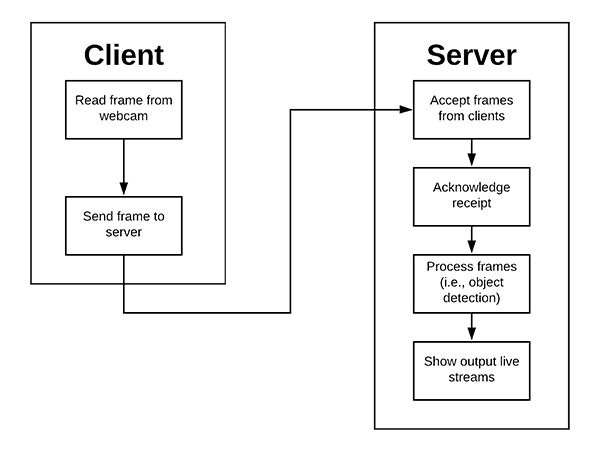 Figure 10: The client/server relationship for ImageZMQ video streaming with OpenCV. Client: Responsible for capturing frames from a webcam using OpenCV and then sending the frames to the server. Server: Accepts frames from all input clients. You could argue back and forth as to which system is the client and which is the server. For example, a system that is capturing frames via a webcam and then sending them elsewhere could be considered a server — the system is undoubtedly serving up frames. Similarly, a system that accepts incoming data could very well be the client. There are at least one (and likely many more) systems responsible for capturing frames. There is only a single system used for actually receiving and processing those frames. For these reasons, I prefer to think of the system sending the frames as the client and the system receiving/processing the frames as the server. You may disagree with me, but that is the client-server terminology we’ll be using throughout the remainder of this tutorial. Be sure to grab the “Downloads” for today’s project. From there, unzip the files and navigate into the project directory. Note: If you’re going with the third alternative discussed above, then you would need to place the imagezmq source directory in the project as well. The first two files listed in the project are the pre-trained Caffe MobileNet SSD object detection files. The server ( server.py ) will take advantage of these Caffe files using OpenCV’s DNN module to perform object detection. The client.py script will reside on each device which is sending a stream to the server. Later on, we’ll upload client.py onto each of the Pis (or another machine) on your network so they can send video frames to the central location. Pay close attention here to see that we’re importing imagezmq in our client-side script. VideoStream will be used to grab frames from our camera. Our argparse import will be used to process a command line argument containing the server’s IP address ( --server-ip is parsed on Lines 9-12). The socket module of Python is simply used to grab the hostname of the Raspberry Pi. Finally, time will be used to allow our camera to warm up prior to sending frames. Lines 16 and 17 simply create the imagezmq sender object and specify the IP address and port of the server. The IP address will come from the command line argument that we already established. I’ve found that port 5555 doesn’t usually have conflicts, so it is hardcoded. You could easily turn it into a command line argument if you need to as well. Now, we’ll grab the hostname, storing the value as rpiName (Line 21). Refer to “Preparing clients for ImageZMQ” above to set your hostname on a Raspberry Pi. From there, our VideoStream object is created to connect grab frames from our PiCamera. Alternatively, you can use any USB camera connected to the Pi by commenting Line 22 and uncommenting Line 23. This is the point where you should also set your camera resolution. We are just going to use the maximum resolution so the argument is not provided. But if you find that there is a lag, you are likely sending too many pixels. If that is the case, you may reduce your resolution quite easily. Just pick from one of the resolutions available for the PiCamera V2 here: PiCamera ReadTheDocs. The second table is for V2. Note: The resolution argument won’t make a difference for USB cameras since they are all implemented differently. As an alternative, you can insert a frame = imutils.resize(frame, width=320) between Lines 28 and 29 to resize the frame manually. From there, a warmup sleep time of 2.0 seconds is set (Line 24). Finally, our while loop on Lines 26-29 grabs and sends the frames. As you can see, the client is quite simple and straightforward! Let’s move on to the actual server. Accepting incoming frames from multiple clients. 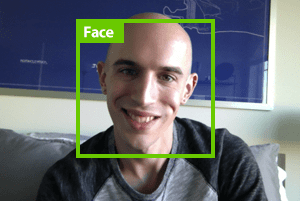 Applying object detection to each of the incoming frames. Maintaining an “object count” for each of the frames (i.e., count the number of objects). build_montages : To build a montage of all incoming frames. imagezmq : For streaming video from clients. In our case, each client is a Raspberry Pi. imutils : My package of OpenCV and other image processing convenience functions available on GitHub and PyPi. cv2 : OpenCV’s DNN module will be used for deep learning object detection inference. Are you wondering where imutils.video.VideoStream is? iWe usually use my VideoStream class to read frames from a webcam. However, don’t forget that we’re using imagezmq for streaming frames from clients. The server doesn’t have a camera directly wired to it. --prototxt : The path to our Caffe deep learning prototxt file. --model : The path to our pre-trained Caffe deep learning model. I’ve provided MobileNet SSD in the “Downloads” but with some minor changes, you could elect to use an alternative model. --confidence : Our confidence threshold to filter weak detections. --montageW : This is not width in pixels. Rather this is the number of columns for our montage. We’re going to stream from four raspberry Pis today, so you could do 2×2, 4×1, or 1×4. You could also do, for example, 3×3 for nine clients, but 5 of the boxes would be empty. --montageH : The number of rows for your montage. See the --montageW explanation. Our server needs an ImageHub to accept connections from each of the Raspberry Pis. It essentially uses sockets and ZMQ for receiving frames across the network (and sending back acknowledgments). Our MobileNet SSD object CLASSES are specified on Lines 29-32. If you aren’t familiar with the MobileNet Single Shot Detector, please refer to this blog post or Deep Learning for Computer Vision with Python. From there we’ll instantiate our Caffe object detector on Line 36. # in a single "dashboard"
In today’s example, I’m only going to CONSIDER three types of objects from the MobileNet SSD list of CLASSES . We’re considering (1) dogs, (2) persons, and (3) cars on Line 40. We’ll soon use this CONSIDER set to filter out other classes that we don’t care about such as chairs, plants, monitors, or sofas which don’t typically move and aren’t interesting for this security type project. Line 41 initializes a dictionary for our object counts to be tracked in each video feed. Each count is initialized to zero. A separate dictionary, frameDict is initialized on Line 42. The frameDict dictionary will contain the hostname key and the associated latest frame value. Lines 47 and 48 are variables which help us determine when a Pi last sent a frame to the server. If it has been a while (i.e. there is a problem), we can get rid of the static, out of date image in our montage. The lastActive dictionary will have hostname keys and timestamps for values. Lines 53-55 are constants which help us to calculate whether a Pi is active. Line 55 itself calculates that our check for activity will be 40 seconds. You can reduce this period of time by adjusting ESTIMATED_NUM_PIS and ACTIVE_CHECK_PERIOD on Lines 53 and 54. Our mW and mH variables on Lines 59 and 60 represent the width and height (columns and rows) for our montage. These values are pulled directly from the command line args dictionary. Let’s loop over incoming streams from our clients and processing the data! We begin looping on Line 65. Lines 68 and 69 grab an image from the imageHub and send an ACK message. The result of imageHub.recv_image is rpiName , in our case the hostname, and the video frame itself. It is really as simple as that to receive frames from an ImageZMQ video stream! Lines 73-78 perform housekeeping duties to determine when a Raspberry Pi was lastActive . The frame dimensions are computed. A blob is created from the image (see this post for more details about how OpenCV’s blobFromImage function works). The blob is passed through the neural net. From there, on Line 93 we reset the object counts to zero (we will be populating the dictionary with fresh count values shortly). Extract the object confidence and filter out weak detections (Lines 99-103). Increment the objCount for the respective object (Line 113). Draw a rectangle around the object (Lines 117-123). On Lines 126-133 we make two calls to cv2.putText to draw the Raspberry Pi hostname and object counts. From there we update our frameDict with the frame corresponding to the RPi hostname. Lines 139-144 create and display a montage of our client frames. The montage will be mW frames wide and mH frames tall. Keypresses are captured via Line 147. We only perform a check if at least ACTIVE_CHECK_SECONDS have passed (Line 151). If the device hasn’t been active recently (Line 156) we need to remove data (Lines 158 and 159). First we remove ( pop ) the rpiName and timestamp from lastActive . Then the rpiName and frame are removed from the frameDict . The lastActiveCheck is updated to the current time on Line 162. Effectively this will help us get rid of expired frames (i.e. frames that are no longer real-time). This is really important if you are using the ImageHub server for a security application. Perhaps you are saving key motion events like a Digital Video Recorder (DVR). The worst thing that could happen if you don’t get rid of expired frames is that an intruder kills power to a client and you don’t realize the frame isn’t updating. Think James Bond or Jason Bourne sort of spy techniques. Last in the loop is a check to see if the "q" key has been pressed — if so we break from the loop and destroy all active montage windows (Lines 165-169). Now that we’ve implemented both the client and the server, let’s put them to the test. Make sure you use the “Downloads” section of this post to download the source code. In this example, I’m using four Raspberry Pis, but four aren’t required — you can use more or less. Be sure to use applicable IP addresses for your network. You also need to follow the installation instructions to install ImageZMQ on each Raspberry Pi. See the “Configuring your system and installing required packages” section in this blog post. Install ImageZMQ using instructions in “Configuring your system and installing required packages”. As an alternative to these steps, you may start the client script on reboot. Is your brain spinning with new Raspberry Pi project ideas right now? The Raspberry Pi is my favorite community driven product for Computer Vision, IoT, and Edge Computing. Maybe you have a video streaming idea based on this post. Or perhaps you want to learn about deep learning with the Raspberry Pi. Interested in robotics? Why not build a small computer vision-enabled robot or self-driving RC car? Face recognition, classroom attendance, and security? All possible. I’ve been so excited about the Raspberry Pi that I decided to write a book with over 40 practical, hands-on chapters that you’ll be able to learn from and hack with. Inside the book, I’ll be sharing my personal tips and tricks for working with the Raspberry Pi (you can apply them to other resource-constrained devices too). 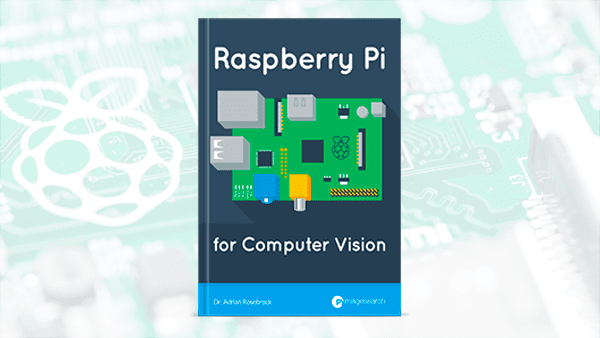 You can view the full Raspberry Pi for Computer Vision table of contents here. The book is currently in development. That said, you can reserve your copy by pre-ordering now and get a great deal on my other books/courses. The pre-order sale ends on Friday, May 10th, 2019 at 10:00AM EDT. Don’t miss out on these huge savings! I want to pre-order my copy! In this tutorial, you learned how to stream video over a network using OpenCV and the ImageZMQ library. Instead of relying on IP cameras or FFMPEG/GStreamer, we used a simple webcam and a Raspberry Pi to capture input frames and then stream them to a more powerful machine for additional processing using a distributed system concept called message passing. Thanks to Jeff Bass’ hard work (the creator of ImageZMQ) our implementation required only a few lines of code. If you are ever in a situation where you need to stream live video over a network, definitely give ImageZMQ a try — I think you’ll find it super intuitive and easy to use. I’ll be back in a few days with an interview with Jeff Bass as well! How does this compare with MQTT, performance wise? I use paho-mqtt MQTT in Python and mosquitto MQTT broker running locally on the Pi to pass images among separate processes or to processes running on different machines. In any event thanks for posting this, looking at the imagezmq git hub, it looks to be potentially veryuseful. I’d encourage Jeff to get it pip install-able for wider usage. If I can free up some time, I might try to take this sample and modify it to use MQTT for comparison. ImageZMQ was designed with ZMQ in mind. It would definitely require some updating to get it to run on MQTT and gather comparisons. I have MQTT sending and receiving jpg images. I was thinking of “dropping” my MQTT code into the timing test code on the ImageZMQ GitHub to compare. I’ve downloaded the ImageZMQ, just need to find some time to do it. Sorry I wasn’t clearer, your previous OpenVINO tutorial solved some problems for me that has kept me busy implementing the solution and testing. Thank you for sharing, Walter! same concepts. mqtt can transport whatever you want. the core part is the broker (there also a lot of mqtt borkers out there). you could use an mqtt broker instead of zmq. apache has many adapters to support any kind of protocol for the broker. Awesome content Adrian. What machine did you use for processing on the server side? Was it GPU enabled because running object detection on frames from 4 cameras can be quite computationally expensive. It was actually a MacBook Pro running YOLO via the CPU! I loved the Jeff Bass’ presentation at PyImageConf. One of these days I am going to finally get furiously angry with opencv’s USB Camera interface and start using libuvc. The Pi Camera interface by comparison is very clean and straightforward and consistent. Is it possible to send it via http to see it on a web page? I’ll be covering that in my upcoming Raspberry Pi for Computer Vision book, stay tuned! Hi i want to ask you a question say i implemented this project now what i want to do is store the output to a database or simply say i am running open cv face recognition on client and when a person is recognized i want a json of his name in real time streaming. So what should i do? You could simply encode the name of the person as JSON string. That’s not really a computer vision question though. I would instead suggest you read up on Python programming basics, including JSON serialization and database fundamentals. That will better enable you to complete your project. Very nice project. but I have an error message : module ‘imagezmq’ has no attribute ‘ImageHub’ when I launch the server. It sounds like you have not properly installed the “imagezmq” library. Double-check your sym-links or simply put the “imagezmq” Python module in the working directory of your project. I have two questions about. 1. It’s possible to share multiple ip camera by one Ras PI? my memory is only 1GB. 2. Can I put a password for my app and share them on the Internet? 1. You mean have two cameras on a single Pi? Yes, absolutely. You would just have two client scripts running on the Pi, each accessing its respective camera. 2. Yes, but you would need to code any authentication yourself. Is it possible to reduce the bandwidth of streaming video by doing some compression algorithms on it? I mean choosing for example MJPEG or MPEG4 or some other formats for our streaming video. Yes, the smaller your frames are (in terms of spatial dimensions) combined with your compression will reduce network load and therefore reduce latency. You just need to be careful that the compression can still happen in real-time on the client. Thanks for the great article! I’m looking at using WebRTC and the open source Kurento server to stream content from a laptop camera, apply an OpenCV filter on the server side, then stream the results out to a browser endpoint. You mentioned you had some trouble with RTSP? Was this just due to some camera’s not being able to publish on that protocol? Are there other hurdles with RTSP / RTC that are important to consider? Hey Brett — see my reply to Heughens Jean. Any suggestions on making the pi weatherproof for outdoor applications? Jeff discusses his weather/waterproofing in this interview. I tried to install imagezmq on your colleague’s site at https://github.com/jeffbass/imagezmq using the git command. error launching git: The filename or extension is too long. Are you using Windows? If so, you can find the solution here. This is very useful tool! One question. If the processing speed on server is slow, will it take the latest frame from the queue on the second loop? or the second one? Sorry, I’m not sure what you mean? Could you elaborate? I do agree with you after my work of ffmpeg and cgstreamer. The transmission on internet of opencv frame is very pretty work.It will great decrease hardware cost. You are welcome, I’m glad you enjoyed the tutorial! Hey Walter, I see you already replied to the thread with Wally regarding MQTT. Thanks for doing that. As far as CPU usage, are you sure it’s just not the threading of the VideoStream? You can reduce load by using “cv2.VideoCapture” and only polling frames when you want them. I’ve just checked my IP-cam module (ONVIF) with your code from face-detection post. It works like a sharm. Take a look at the intro of the post. If you can use an IP camera, great, but sometimes it’s not possible. What were some of the issues you were seeing when you tried streaming with rtsp? I’m assuming this should also work on a tx2 or nano. Yes, this will also work on the TX2, Nano, Coral, etc. As for RTSP, gstreamer, etc., you end up going down a rabbit hole of trying to get the correct parameters to work, having them work one day, and fail the next. I hated debugging it. ImageZMQ makes it far easier and reliable. Hi Adrian, thanks for this post. But how about to forward montage or cv2.imshow output include detected rectangle from server to website (like custom html with dashboard and video player) ? 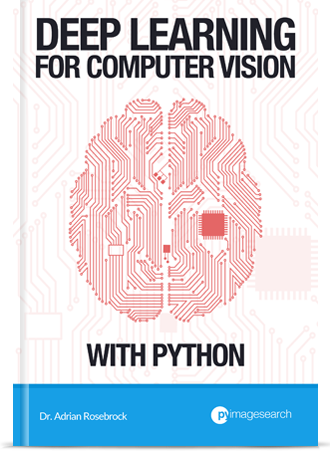 I’m covering that exact topic inside my Raspberry Pi for Computer Vision book. If you’re interested, you can use the Kickstarter page to pre-order at reduced prices. I want to get images from camera located at a remote site over a GSM enabled router. Will it work? What is needed? Kindly shed more light on the configuration of the server side. Which python night vision library can you advice?will you be covering in “wildlife monitoring ” section of the book? 1. Yes, I will be covering wildlife detection inside the book, including wildlife at night. If you haven’t pre-ordered your copy yet, you can use this page to do so. 2. As for the GSM router, as long as you have a publicly access IP address it will work. Hey Adrian! Thank you for continuing to write articles like this! Do you think it would be possible for a Raspberry Pi with the Movidius to have enough power to process the inputs from the streaming cameras? In your article on OpenVino, it seems you are processing a similar payload as would be received in this article. If you’re going to use the Raspberry Pi + NCS I guess my question would be why not just run inference there on the Pi instead of sending it over the network? Double-check that your server is running ZMQ. Secondly, make sure your IP address and port numbers are correct. Hello, I’ve been reading your tutorials an they really helped me learning to use opencv. Could you suggest a way of streaming the captured video to a webpage? Thanks in advance. 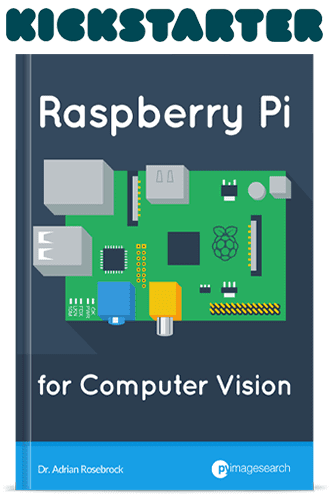 I’m actually covering that exact topic in my Raspberry Pi for Computer Vision book. You can find the Kickstarter page for the book here if you would like to pre-order a copy. Thanks for this. It is interesting to me not just for the video streaming part, but I had never heard of zeromq and libraries like it before. Whenever I wanted to do something like this, my preferred solution was to use Redis, which is also very simple and reliable. Not sure if it is as fast. Also, the smoothest, high fps video for opencv setup I have ever tried was with Webrtc. I am reading up as much as possible on zeromq and nanomsg, thanks to you, because tcp can be a pain to work with directly. Redis is amazing, I’m a HUGE fan of Redis. You can even design entire message passing/broker libraries around Redis as well. Is it possible to send video from laptop camera to AWS EC2 for processing and show the processed video back on the same laptop. Yes, you can use this exact method, actually. Just supply the IP address of your AWS server and ensure the ZMQ server is running on it. How do you typically access your IP camera? 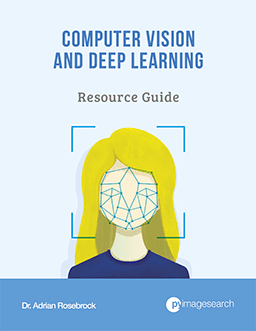 Do you/have you used OpenCV to access it before? Congrats on resolving the issue, Kurt! this is really cool. thanks for the article. i am also wondering what is the best way to push from zmq to web browsers? any recommendations? thank you! I’m actually covering that exact project in my Raspberry Pi for Computer Vision book. You can find the Kickstarter page for the book here. hi Adrian. Thx for the tutorial. I’m planning to do something similar instead stream iPhone video at very high fps to my laptop so I can faster prototype algorithms. Do you have any experience or comparison with LCM (https://github.com/lcm-proj/lcm). It seems it targets realtime scenarios and using UDP multicast so theoretically should have lower latency. Sorry, I do not have any experience with that library so I can’t really comment there. But implemented only in one device in the sense implemented by the client and the server in one computer. The process did not work with me in the raspberry pi problem. I experimented even with ubuntu computer and windows computer did not fix. I have a problem with communication.